Wataru Uchida is a saxophonist and composer. Wataru studied basic saxophone technique and jazz composition with Chico Freeman, and has been leading his jazz projects in New York since 2003. 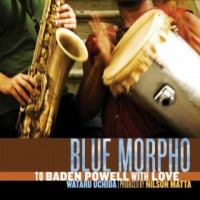 In 2010, Wataru released his first CD Blue Morpho, recorded with NY-based Brazilian jazz rhythm section players, Romero Lubambo, Helio Alvis, Nilson Matta, Cafe Da Silva, and Ze Mauricio. The album is dedicated to Barden Powell, the legendary Brazilian guitarist. In 2015, Wataru has recorded his original compositions with Abelita Mateus, Itaiguara Brandão, and Vanderlei Pereira. 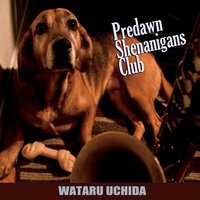 The album, Predawn Shenanigans Club, is an old school one-room recording product. There is no studio manipulation by modern technology such as overdub, punch-in, or cut & paste. His new CD is available now. Wataru has ever played with Bill Saxton, Abelita Mateus, Vitor Gonçalves, Alex Layne, Itaiguara Brandão, Gustavo Amarante, Oleg Osenkov, Amanda Ruzza, Eduardo Belo, Rogerio Boccato, Vanderlei Pereira, Fernando Saci, Alexandre Kautz, and many of excellent jazz artists. 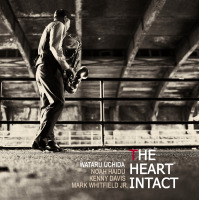 Besides his project, Wataru has been supported Tocho Swing Beats Jazz Big Band and ever performed at Birdland, Jazz Standard, and Schomburg Center for Research in Black Culture in New York. All About Jazz musician pages are maintained by musicians, publicists and trusted members like you. Interested? Tell us why you would like to improve the Wataru Uchida musician page.